Give the Drummer Some! 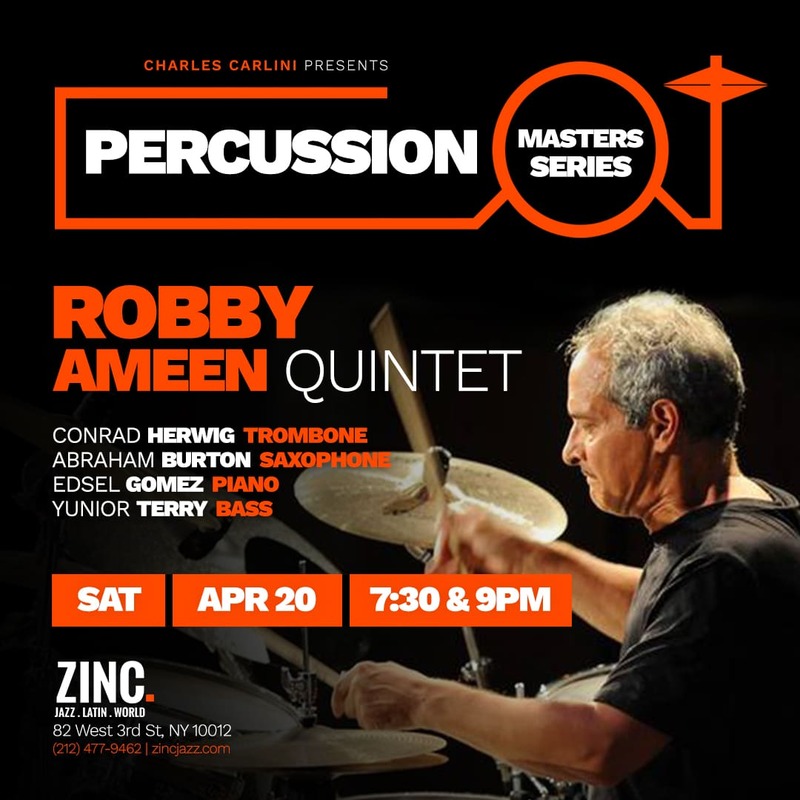 Spend an evening with some of the finest Percussion Masters at Zinc. Book your tickets today! 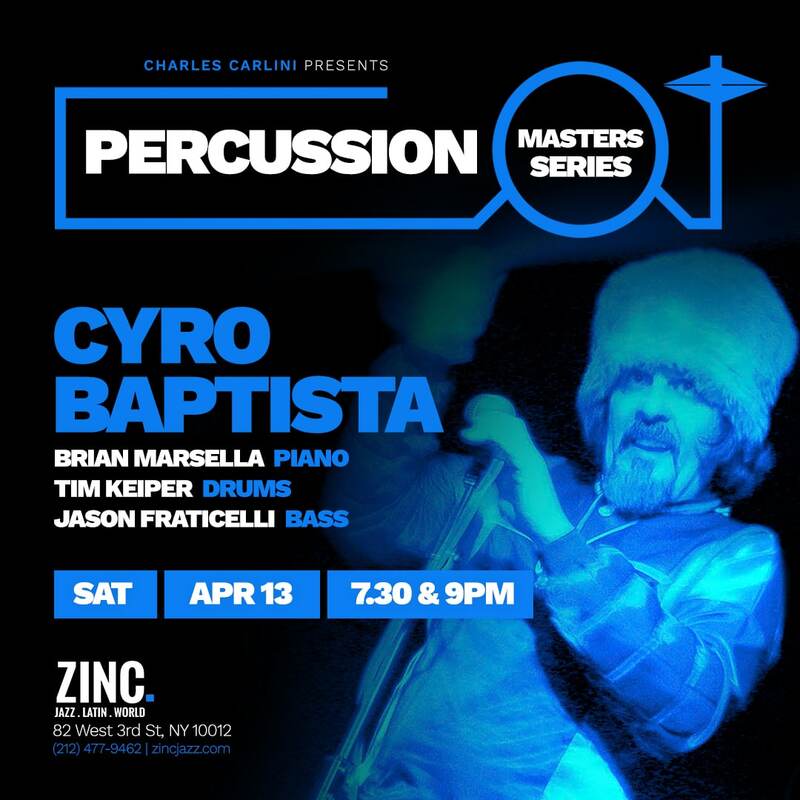 Acclaimed master percussionist Cyro Baptista brings his formidable group to Zinc on Saturday, April 13. He's supported by pianist Brian Marsella, bassist Jason Fraticelli and drummer Tim Keiper. 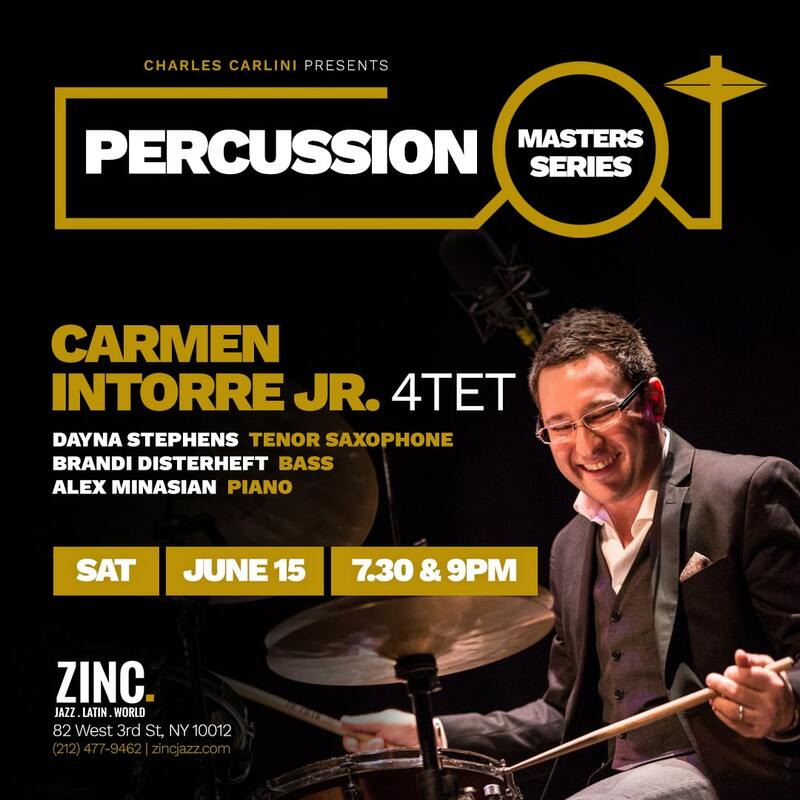 Acclaimed master drummer Carmen Intorre brings his formidable quartet to Zinc on Saturday, June 15. 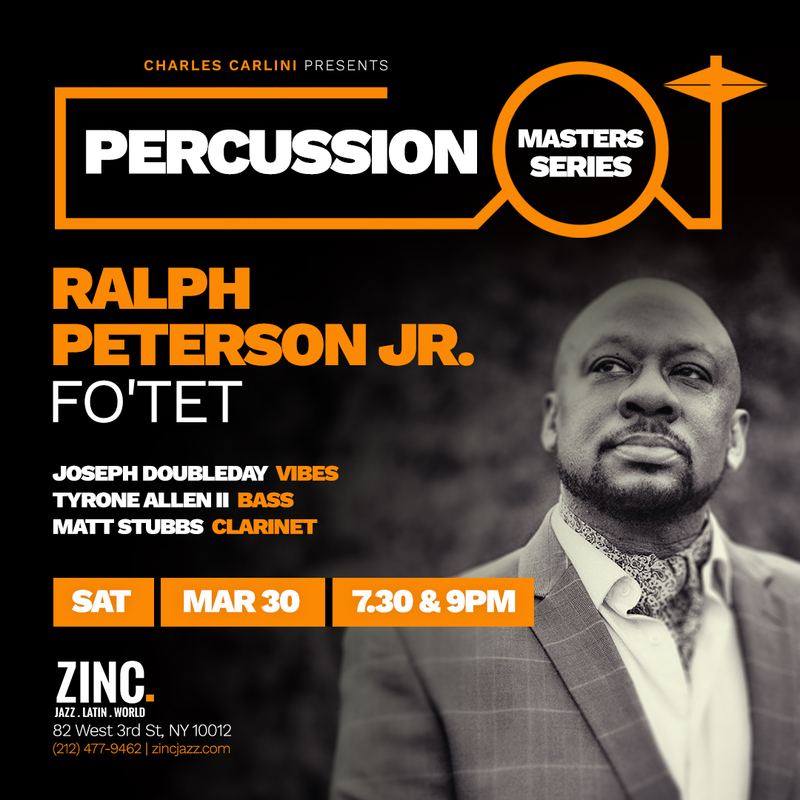 He’s supported by pianist Alex Minasian, saxophonist Dayna Stephens, and bassist Brandi Disterheft.